It’s an exciting time for Dreams Life and Wellness Center as we continue to grow. We invite you to meet the Dreams Team and share in an evening of celebration. 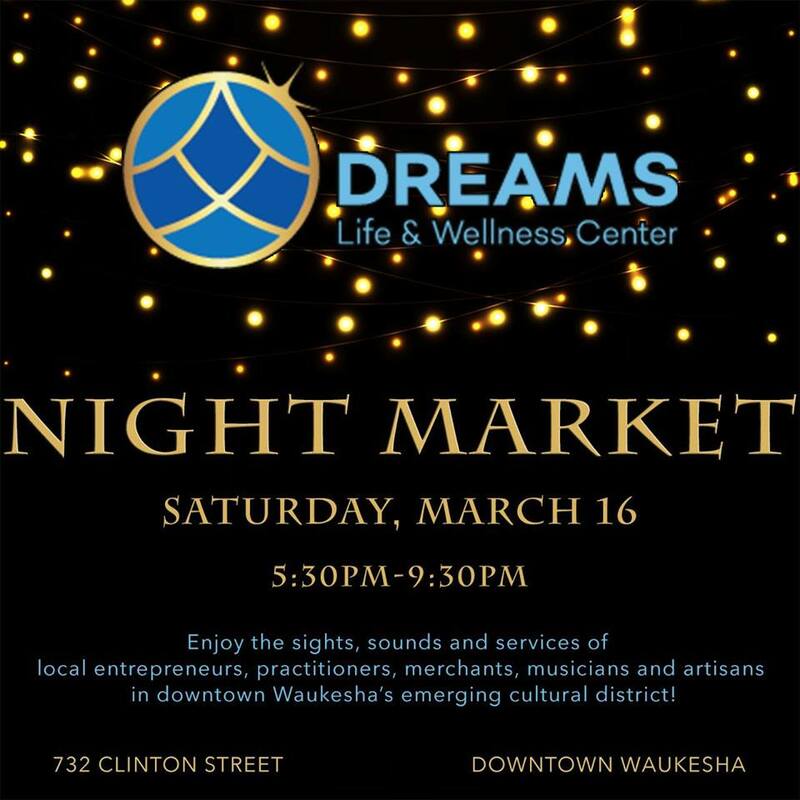 Enjoy the sights, sounds and services of local entrepreneurs, practitioners, merchants, musicians and artisans in downtown Waukesha’s emerging cultural district! Coming together and connecting our community!